For many people, diamonds are the ultimate symbol of love, peace, and unity, which is why they are the most popular stone for engagement rings, but conflict diamonds are different. These diamonds do not foster positive emotions - instead, they stand for conflict, bloodshed, and terrorism. These "conflict diamonds" fuel hate, oppression, and abuse in many places, but with careful investigation it is possible to avoid supporting groups that profit from them. Conflict diamonds, also known as blood diamonds, are stones sold by rebel and terrorist groups to fund their insurgent activities. Conflict diamonds also include diamonds that are implicated in human rights abuses, including funding state sanctioned violence, environmental destruction, worker exploitation, child labor, and slave labor. Conflict diamonds are frequently raw, unpolished stones that are easily smuggled and traded for weapons or other supplies. The trade of these illicit stones fuels conflicts by providing financial support to continue rebellions against legitimate governments. Furthermore, they decrease the supply of stones for authorized trade and lower the country's economic stability. Diamond smuggling is most prevalent in Central and West African nations, such as Sierra Leone, Angola, the Democratic Republic of Congo, and Liberia. 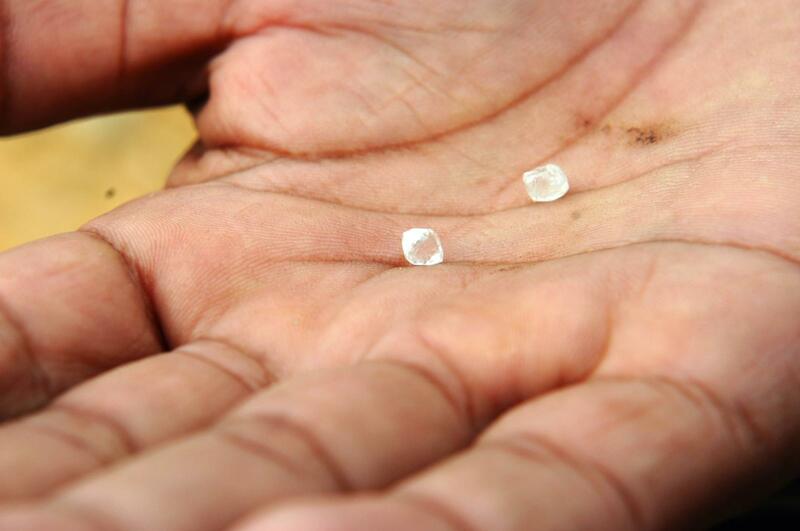 This part of the world is responsible for the majority of the legitimate diamond trade, and it is easier for rebel groups to procure stones for unlawful trade. In some cases, the groups' allies or neighboring nations participate in the transactions in order to disguise the diamonds' origins. Within these nations, the majority of the conflict diamonds are found in alluvial, or surface deposits, typically along rivers or rockslide areas. Because they do not require extensive mining, the stones are easier to gather and cheaper to smuggle. Other than the ethical considerations, there is no quality difference between conflict and legitimate diamonds, and unless the conflict-free diamonds are separated from the general supply, they cannot be differentiated once the stones are cut and polished. To avoid purchasing conflict diamonds and inadvertently supporting the continuation of brutal wars and oppression, always purchase conflict-free diamonds from an ethical and reputable jeweler. Do not be afraid to ask where the stones were mined and where they were imported from - avoid countries that neighbor known diamond smuggling states for additional assurance. Ask to see the diamond's Certificate of Origin or similar document that details where it was mined, cut, and polished. Also be suspicious of high-quality stones with unusually low prices: while this may not be a sign of any unethical activity, it may be an indicator that the rough stone was traded for extremely low prices and may have been a conflict diamond. Is the International Community Helping? The Kimberley Process is a group of states representing all the major diamond mining, exporting, and importing countries who have agreed to monitor worldwide diamond trade to prevent the sale of diamonds that are being used to fund civil wars in Africa. More than forty countries now participate in the Kimberley process. However, the Kimberley Process does not address the other human rights violations that are prevalent in many African countries, including child labor and severe worker exploitation. A reputable jeweler should have Kimberley Process certificates to prove the diamonds are not being used to fund wars. Diamond communities in Sierra Leone and the Democratic Republic of Congo are not currently benefiting from the sale of diamonds, despite the high retail price of the diamond. Stopping the trade of conflict diamonds helps legitimate governments build a reputable diamond trade and ultimately enables fair trade that contributes to economic growth. This provides jobs for citizens and tax revenue for increasing the quality of life for everyone in the nation, allowing them to become more self-sufficient and rely less on foreign aid. Conflict diamonds stop this process and contribute to the continued degradation of people and the suppression of basic human rights and freedoms. A diamond engagement ring symbolizes the love and commitment between two people. A conflict diamond, however, symbolizes hatred and oppression rather than unity. While it may seem to be a great deal and an opportunity to buy a diamond at a lower price, this ultimately hurts the people oppressed by the rebel groups trading them and the workers currently exploited by the industry. Avoiding a conflict diamond is easy and ethical, and a legitimate stone has far more symbolic beauty for a couple beginning their life together.